to INSPIRE PEOPLE at your next event! "Few keynote speakers are as qualified to inspire and motivate your group as Andrew Greenstein! Since becoming a self-made multi-millionaire in his early 20s, Andrew has traveled the globe, coached, counseled, and helped countless others achieve success. 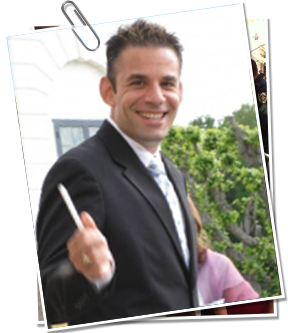 Having transformed his own life in areas ranging from financial freedom to weight loss, and even to overcoming a significant speech impediment, Andrew's unique blend of storytelling and motivational speaking will move your attendees to laughter, tears, & action!" I have inspired audiences large and small, near and far, corporate and charity. A proven winner, I have ranked repeatedly as a State Public Speaking Finalist in contests hosted by Toastmasters International. What makes me "different"? My experience & successes are real and verifiable. I am a clear-headed, optimistic motivator and team player...no longer caught up in the hustle & bustle of corporate life. I live to play and enjoy each day with my family. My LIFESTYLE makes me a more effective speaker! TO FIND OUT IF I AM AVAILABLE TO SPEAK AT YOUR FUNCTION, FILL OUT MY CONTACT FORM.